I came up with the title for this book, Barrier Removed, as I was driving down the highway. I’d come across this road sign and it struck me as a potentially useful analogy to achieving our dreams. For what is a road but our path through life? And when is this particular sign used? When a) the road ahead is under construction – and the pursuit of a dream is a certainly a period of construction in our lives – and b) the safety barrier that is normally in place along this stretch of road is no longer there. 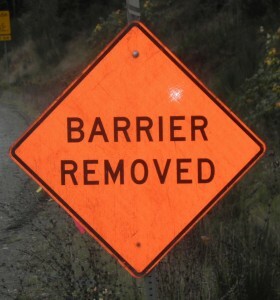 The “Barrier Removed” sign warns us of the potential danger ahead. But the purpose of the sign is not to terrify you into turning around and going back from where you came from. Rather the sign is there to let you know to proceed with caution . . . slow down and pay attention because the barriers that have been there – often for years – are now gone. And although that makes the road ahead more dangerous than it used to be, it is definitely still passable. It is interesting how we often don’t even notice the barriers – such as guard railings – along the road until after they’re gone. So too with the barriers to achieving dreams: our own excuses and limiting beliefs become so familiar to us, we aren’t even aware of them anymore. Yet imagining them removed is an interesting exercise. 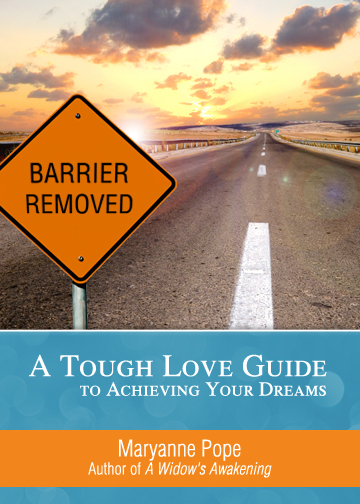 For who would we be without these barriers – our fears, excuses, procrastination, bad habits, poor time management, inability to focus, refusal to take our dreams seriously, insistence on putting other people’s needs and wants before our own, lack of motivation, and so on – in place? Why, we’d be passionate people on the path to achieving our dreams and loving the journey, despite the hard work, that’s who! 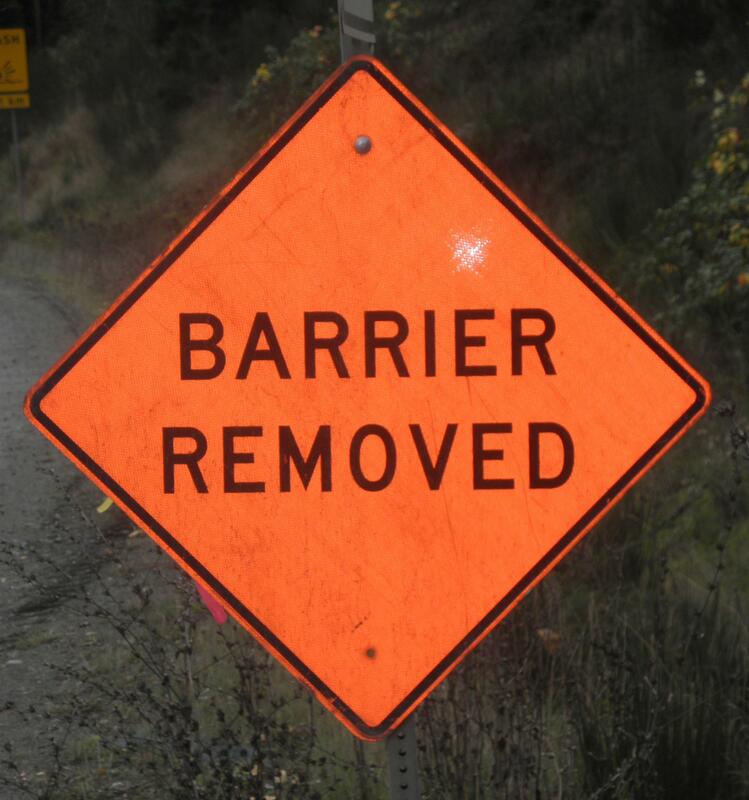 If you would like to be kept in the loop about Barrier Removed, please click here to sign up for the PGP e-zine, The Watering Hole.